Heat oven to 350°F. 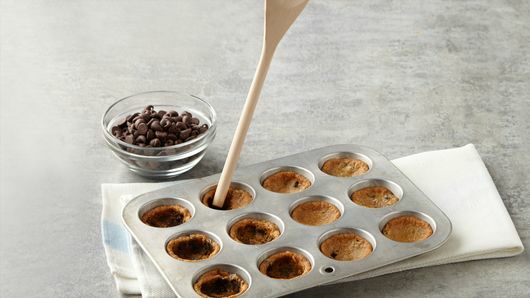 Spray 48 mini muffin cups with cooking spray. 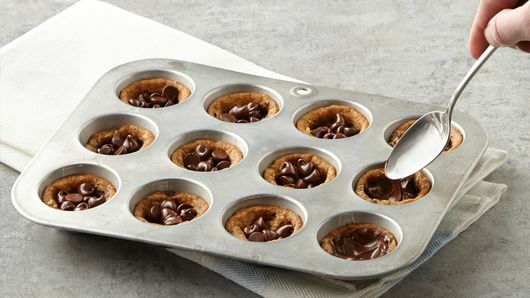 Cut each cookie in half; press each half into bottom of mini muffin cup. Bake 8 to 11 minutes or until golden brown. Immediately press indentation into each with end of wooden spoon. Place 8 chocolate chips into each indentation. Let stand about 2 minutes or until melted. 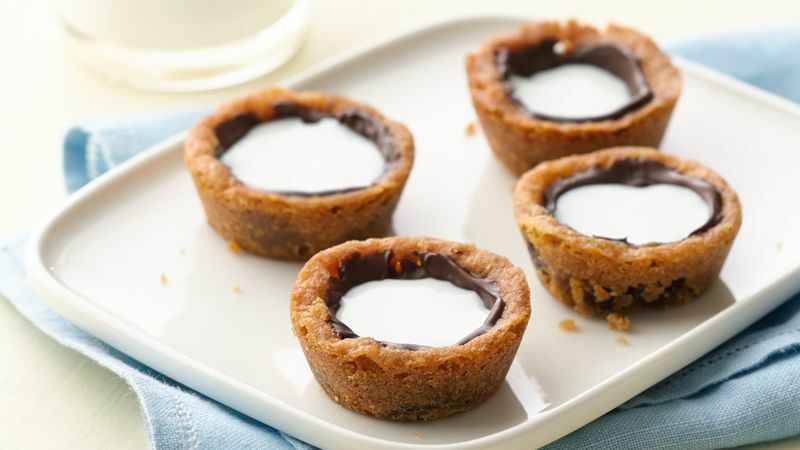 Using back of teaspoon, spread chocolate to completely coat inside of cookie cup to prevent the milk from leaking out. (Return muffin pan to oven 30 seconds to 1 minute to melt chips if needed.) 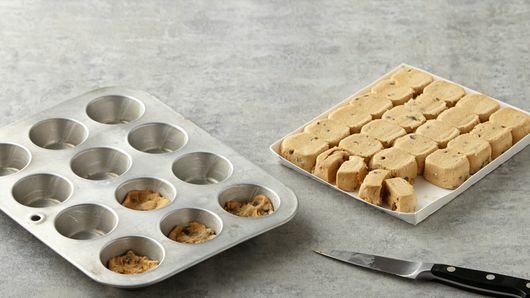 Cool another 15 minutes, remove cookies from cups to serving tray. Refrigerate if desired to set chocolate. Fill cookies with milk just before serving. 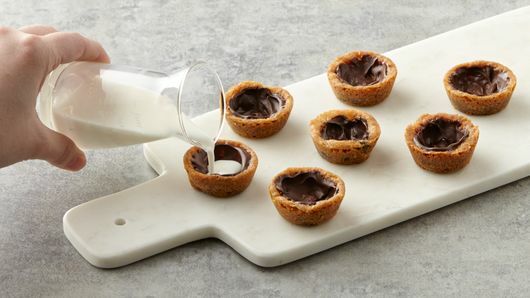 To make ahead, make cookie cups through step 3. Store covered up to 2 days at room temperature, then fill with milk just before serving. Mix it up! Try peanut butter cookie dough and chocolate milk or sugar cookie dough, white vanilla baking chips and strawberry milk for the perfect combination. Have only one mini muffin pan? Refrigerate rest of the dough while baking and cooling the first batch. Cool pan completely, then bake remaining dough, adding 1 to 2 minutes to bake time.